My absolute favorite person to crochet for is my little 4 (almost 5) year old daughter. She absolutely loves everything I make her and when she gets complements on her clothes she is so proud to tell people that I made it for her. 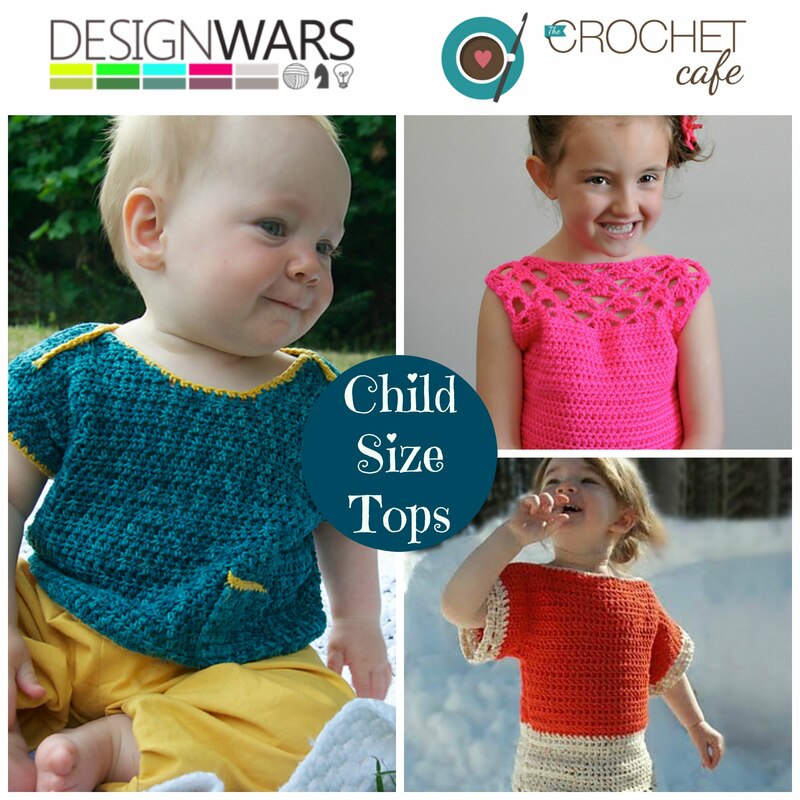 Here are some adorable patterns for your little ones from our friends over at Design Wars. The Samantha Shell top by Sincerely Pam has an open work lace pattern at the top. The Envelope Tee by Vicki Brown is sized from 0-3 months all the way to 6 years so all the little ones can enjoy this sweet pullover. The Spring Breeze Sweater by Blackstone Designs is a cute addition to your little’s one closet! Do you have any favorite patterns for kids? Please share in the comments.